Henry Ford (1863-1947) was obviously talking about industry, but his mantra can equally be applied to the work done by members of Somerset Against The Badger Cull over the last five years. We started our opposition to the badger cull in 2012 in the hope that the preliminary badger culls in West Somerset during 2013 would stop before they began. We kept together through thick and thin during the first crazy year of culling in West Somerset in 2013. Since then, we have worked together successfully during the subsequent culls of 2014, 2015 and 2016. 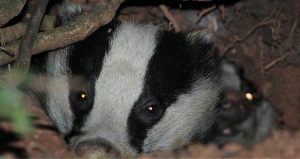 In this time, we saved unknown yet countless badgers as well as lifting the lid on the chaos, unscrupulous behavior and criminal activity that occurs during and after each cull period. 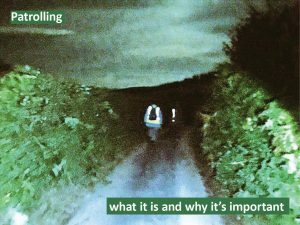 We have kept the cull operatives and cull companies on their toes and our presence in the Somerset countryside is a constant reminder that the majority of the general public is against the badger cull. Sadly, despite all the scientific, moral and ethical opposition to the badger cull, the Government bowed to pressure from the farming industry to increase the culls into two other areas of Somerset in 2017. However, Somerset Against The Badger Cull rose to the challenge and expanded its operations into the new zones. Although the mainstream media interest has waned, we have grown in strength to recruit more active members in order to monitor badger activity, cull operations and badger persecution further afield. The cull is nothing but a political manoeuvre to keep a few members of the rural community quiescent. It is not helping farmers and the further we go, the more farmers we find who have been bullied into taking part in a cull that they do not believe in. This is our pledge to the badgers of Somerset. We will not forget you. We will not desert you. And to those of you who’ve yet to take the first active step to stand up for badgers, conservation, morality and science – join us. You will find walking with a purpose in the Somerset countryside is a joy. So make a commitment and email us on somersetagainstthebadgercull@gmail.com to find out more.